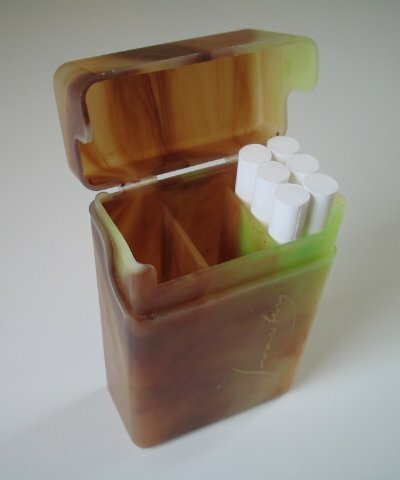 Carrying your custom made cigarettes. 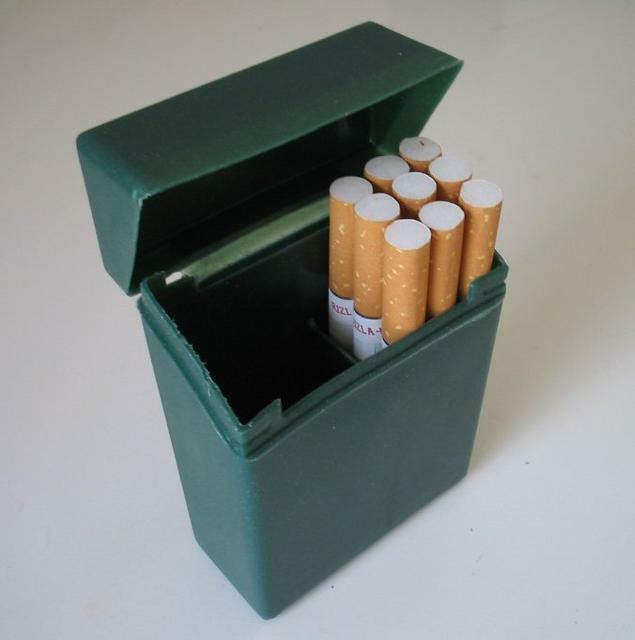 Reviews and discussion of a handfull of cases as well as archived forum discussions about lighters and other cases. This could have advantages over the standard slip case. Unfortunately the fit of the two pieces is quite loose, the stops are set for shorty filter-less smokes and the edges at the opening are a tad sharp. Made in China... It may be a clone of a higher quality American made case. The picture is of the cheap freebie that comes with the Supermatic. 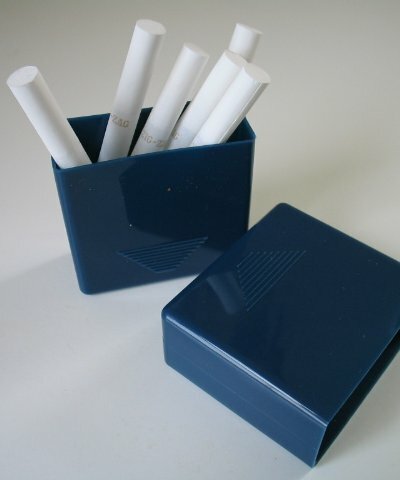 For smokers of 100's Tim Aydt notes that The blue, two piece Zig-Zag cases are made so that when you put the top on one way it fits king's and when reversed accommodates 100's. 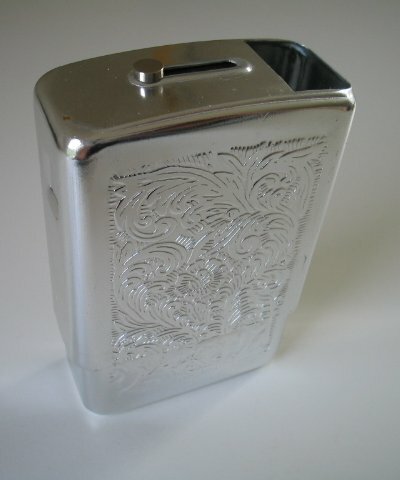 Archived cigarette case reviews and discussions. Archived lighter reviews and discussions.